[MEDICAL RECORD RETENCE FOR EFFICIENCY OF THE STORAGE RACK] Medical records of hospitalized patients must be kept at least for a period of 5 (five) years calculated from the last date the patient was treated or returned (Permenkes 269 / Menkes / Per / III / 2008 in chapter IV article 8. 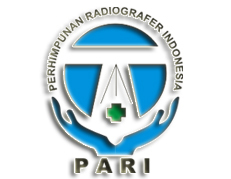 Based on the preliminary study date December 12, 2016, the problems that occurred in the management of medical records at Tugurejo Hospital Semarang especially medical record retention were the last implementation of medical record document retention in 2011 due to a lack of knowledge of HR in the procedures for retention of medical records. The service at the hospital was aimed at increasing the knowledge of employees of the medical record work unit on medical record retention and the implementation of medical record retention to optimize the utilization of medical record storage space.The method used was through Health Education: exposure to theories about medical record retention (policy, flow, procedure), simulation, support and consultations then monitoring and evaluation in the retention was carried out for 20 days involving 5 students with an average of medical records which were retained 180 days from active medical records 6,364. community service related to medical record retention fosters knowledge to filing officers through exposure and assistance in implementing retention.